If you’re a cyclist who’s ever felt the sharp twinge in your joints, you are not alone. Cycling is gentle on the joints – until it’s not, and since you can’t move without ’em, it’s best to keep them strong for life! Your joints form the connections between your bones, providing the support you need to move and stay strong on the bike. While knee pain is common for cyclists, any damage to your joints can ruin your ride. Joint problems are common for many – with knee, shoulder and hip pain known to cause the most niggles. Many conditions – including osteoarthritis, rheumatoid arthritis, bursitis, gout, strains, sprains, and other injuries – may be responsible for painful joints. Despite its cause, joint pain can be managed through physical therapy, strenthening exercises and alternative treatments. 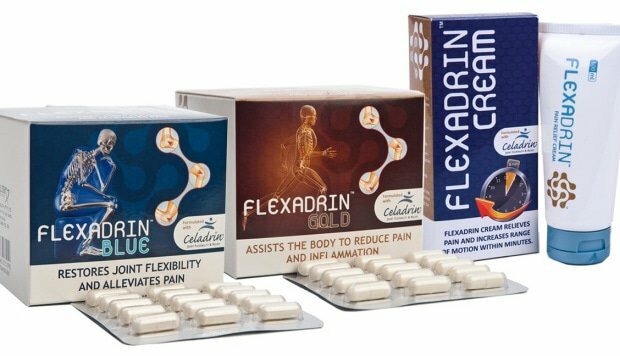 Flexadrin has been formulated with a patented natural ingredient called Celadrin, which assists the body in restoring joint flexibility and alleviating pain. Find out more or get yours now at www.flexadrin.co.za.